Yesterday was a big day for Facebook. On it's eight anniversary, the world's largest social network filed to go public. The move brought the entire tech industry to a standstill as journalist, pundits, and analysts attempted to decipher what the an IPO would mean for the company founded by Mark Zuckerberg. Luckily, Zuck threw in a little letter where he detailed exactly what he thinks will go down. Other than continuing to adhere to the "Hacker Way", Zuckerberg told prospective investors that at its core, Facebook is still all about sharing and connecting. But what happens when that sharing goes wrong? What happens when people use the Facebook platform for all forms for ridiculousness, embarrassing to themselves and their family? Well, you get Fails. We hipped you to the 50 Most Ridiculous Facebook Status Fails last year. This time around we're going to show you all the fuckery that goes down when people feel the need to share photos that would be better left on their iPhones. 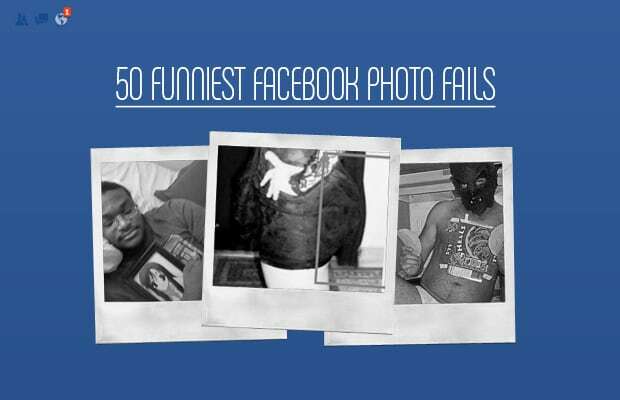 Keep reading to see the 50 Funniest Facebook Photo Fails.